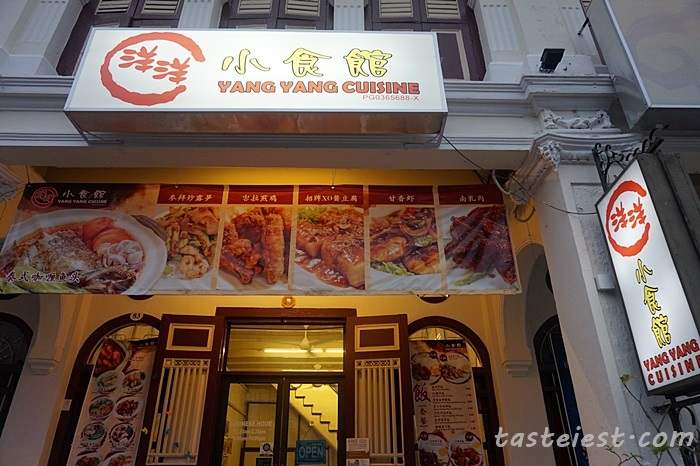 Yang Yang Chinese Cuisine Located just next to Asam Belai along Nagore Road. 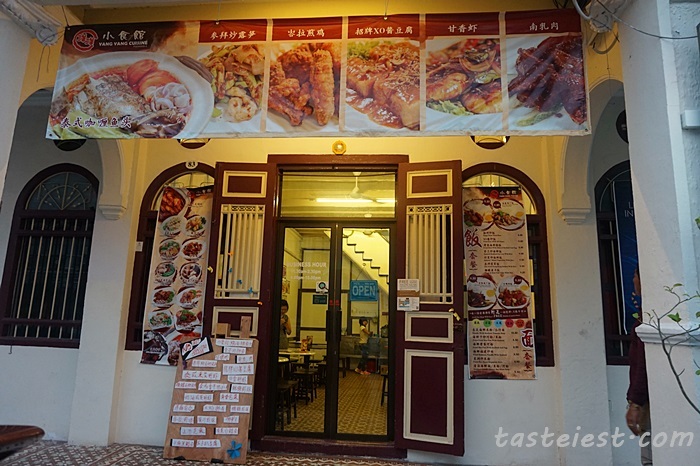 Small restaurant with chef that has over 30 years of cooking experience, previously they are located at Data Keramat opposite Tuck Seng Kopitiam. 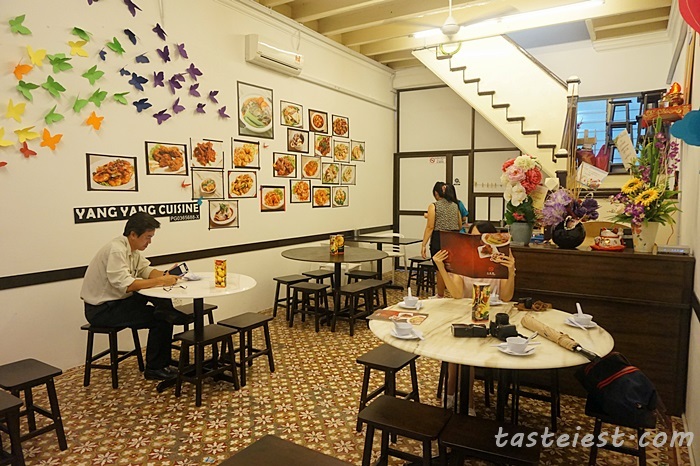 Yang Yang Cuisine emphasize on local family style Chu Char dishes that easily acceptable by local people. 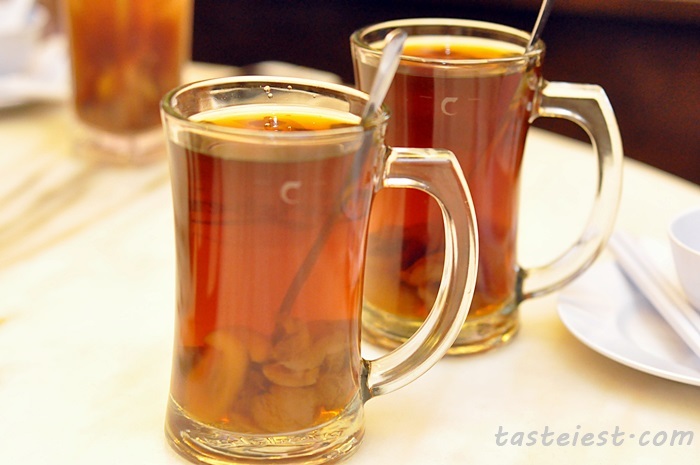 Longan Toddy Palm RM2.80, crunchy sea coconut cook with dried longan surprisingly good combination. Deep Fried Pork Chop with Tomato Suace RM16, Jazz heard some good feedback regarding their Pai Kut Ong so we decided to try it as well, it is extremely soft, a little bit too soft for me as I feel it lost the meat texture. 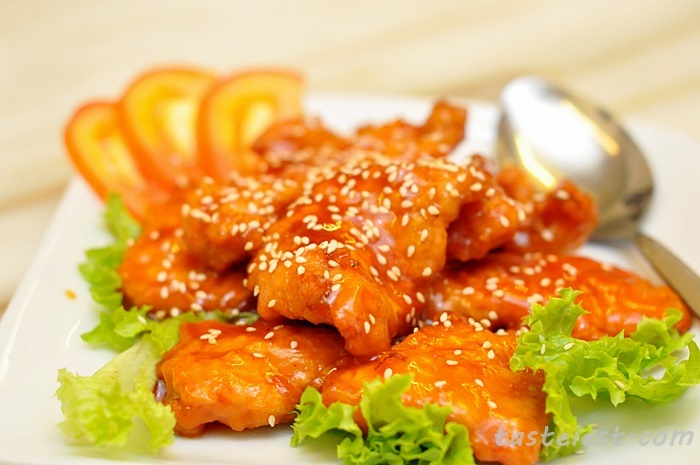 Covering with tomato sauce and top with sesame, taste sweet and sour. 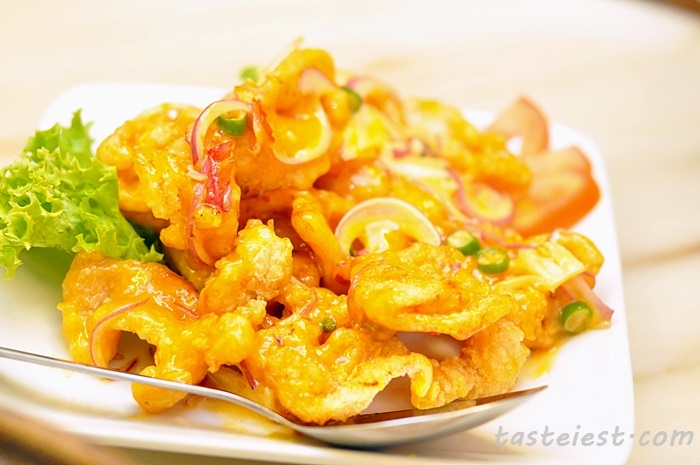 Deep Fried Prawn with Kam Heong Sauce RM26, average size prawn deep fried then cook with Kam Heong sauce which taste sweet with mild spiciness. 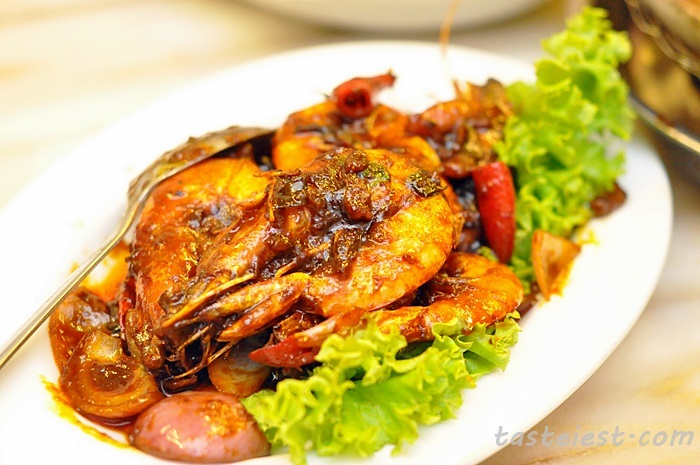 I love Kam Heong sauce that has many dried shrimp in it. 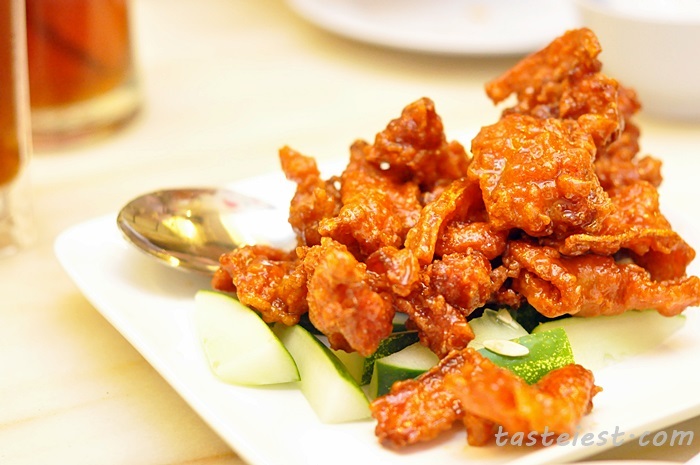 Deep Fried Chicken Cube with Thousand Island Suace RM12, thin slice of chicken meat deep fried to crispy texture cook with thousand island sauce to create a sweet and sour taste chicken, it is extremely crispy as well. Deep Fried Pork with Nam Yue RM18, nicely marinated pork meat with fermented red beancurb deep fried to crispy texture and coat with a layer of sweet sauce is just awesome. 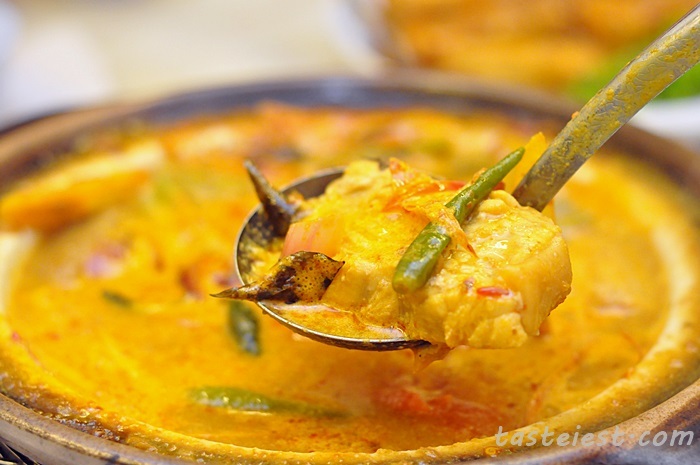 Thai Style Curry Stingray RM25, one of the signature dish here is definitely Thai Curry which are created with their secret recipe. 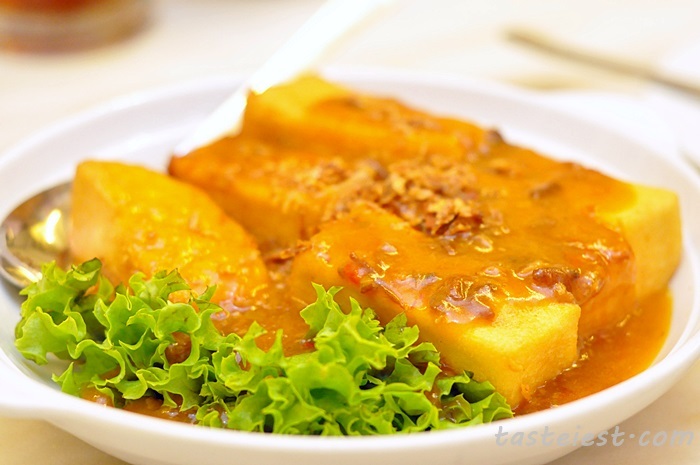 Although it look and taste creamy but there is no coconut milk added, which are much more healthier. Curry flavor are extremely strong and the present of torch ginger bud making it overall flavor even better. 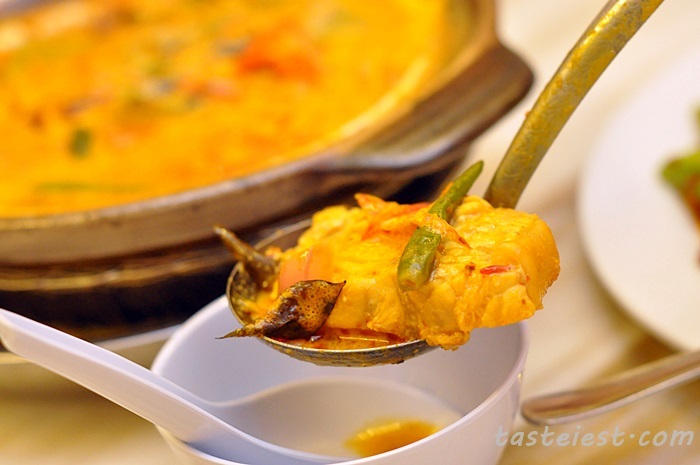 Stewed Beancurb with XO Sauce RM13, deep fried beancurb has very smooth texture, topping with XO sauce that has strong seafood flavor making it taste sauteed and flavorful. 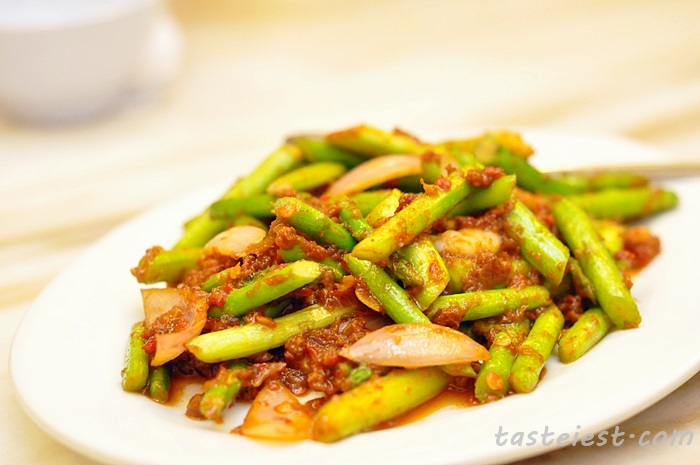 Sauteed Asparagus with Sambal RM15, kam heong sauce has very strong dried shrimp taste which make the asparagus taste really good. This food review is kena belanja by shop but u don’t want to say. i do not know what is your intention to comment here and i got no interest to know as well but to say i did not mention this is a food review i got something to say, if you read through, i never say i pay for it as well. If you check clearly on the categories tag, this post is flagged as Invited Review. I don’t blame you for your non-professional comment but i would appreciate if you could pay a little bit more attention before making non-sense comment.